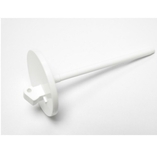 Spool Pins and Caps are available in this section all at great prices so if you need a replacement we have the part for you. 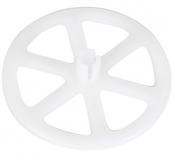 Brother Spool Cap for Smaller size bobbins on your machine. Stops thread catching..
Small grey spool for 500D machine. Ideal for inserting into the end of bobbins with.. Brother Spool Cap for larger size bobbins on your machine. Stops thread catching.. Brother Spool Cap for Medium size bobbins on your machine. Stops thread catching.. Holds an extra bobbin for twin needle work or allows a bobbin to be used in the.. Brother Replacement Spool Pin for NV30 Range Brother sewing machine thread.. Brother Spool Cap for Overlockers. Stops thread catching in the “nick”..